Better late than never edition…. In 2016, I am continuing to let random.org choose a book from my TBR list, to be read sometime during the month. My randomly generated number for September is 93 (out of 438 in my TBR list). SURPRISE!, I will be reading Two Gentlemen of Lebowski: A Most Excellent Comedie and Tragical Romance by Adam Bertocci. Sounds like fun! What if . . . William Shakespeare had written The Big Lebowski? Join “The Knave” and Sir Walter on a wild tale of mistaken identity, kidnapping, bowling, and a rug that, in faith, really tied the room together—in a sidesplitting Shakespearean comedy of errors and ninepins, told in five glorious acts of iambic pentameter and impeccable period prose. 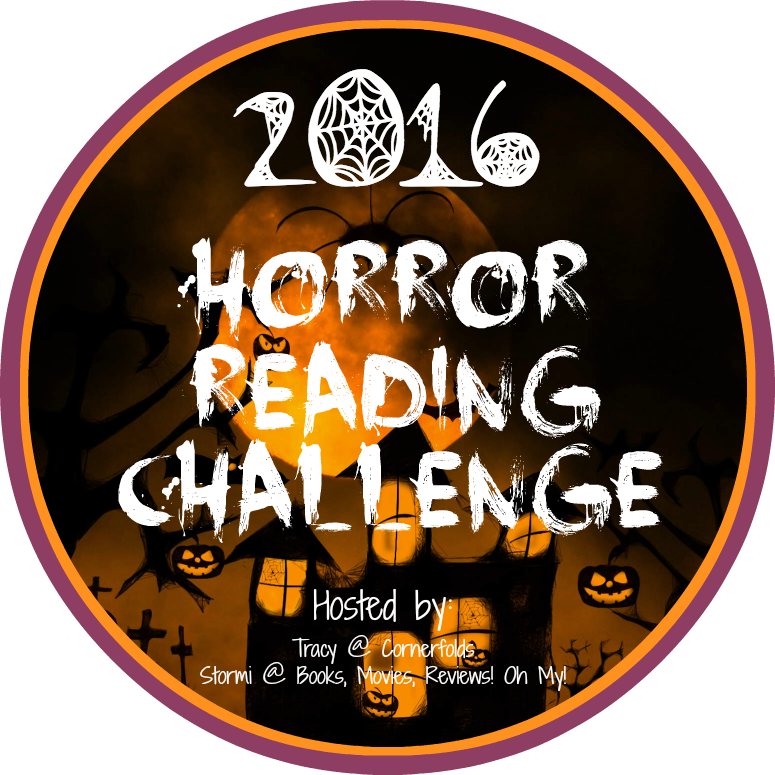 2016 Horror Reading Challenge goal of 16+ books: One this month, 16 total CHALLENGE COMPLETED! In 2016, I am continuing to let random.org choose a book from my TBR list, to be read sometime during the month. I currently have 340 books on this list. For those counting, that’s up 22 from last month…ensuring that I will get caught up, well, never…. February’s randomly generated number is 219, so, SURPRISE!, I will be reading How to Survive Anything: A Visual Guide to Laughing in the Face of Adversity by Lonely Planet, which is sure to be fun, and possibly useful. In 2016, I am continuing to let random.org choose a book from my TBR list, to be read sometime during the month. I currently have 318 books on this list?!? January’s randomly generated number is 142, so, SURPRISE!, I will be reading The Basic Eight by Daniel Handler, which is great since I have it on my bookshelf. Flannery Culp wants you to know the whole story of her spectacularly awful senior year. Tyrants, perverts, tragic crushes, gossip, cruel jokes, and the hallucinatory effects of absinthe — Flannery and the seven other friends in the Basic Eight have suffered through it all. But now, on tabloid television, they’re calling Flannery a murderer, which is a total lie. It’s true that high school can be so stressful sometimes. And it’s true that sometimes a girl just has to kill someone. But Flannery wants you to know that she’s not a murderer at all — she’s a murderess.